are you Looking for something to do with the children, struggling to keep them entertained at home? Need to get out the house? Then come over to Piran's and let them run wild, have some fun and burn off some of that energy. Our specially-designed play-frame provides just the thing for fun, including challenging climbs, a ball pool, spinning dizzy poles and A peekaboo bubble window. Daredevils will love our super-fast racing slide! There's something for everyone at Piran's, including a dedicated GATED baby area AS WELL separate toddler area where the young ones can play safely. 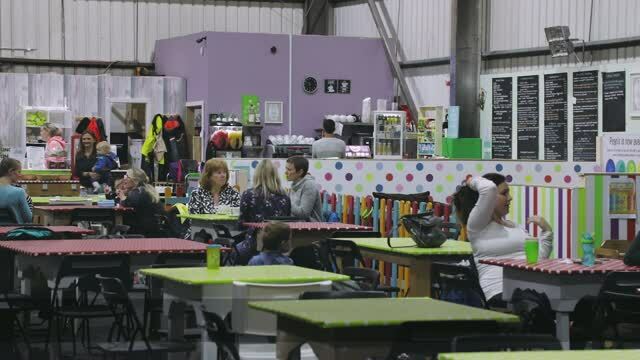 You will also find ample comfy seating, plenty of sofas, a café serving homemade food and free WiFi, so you can relax with a sandwich and a hot cup of tea while the little ones get stuck in. Our seating area has been carefully designed so that you can see the whole play area and keep the kids in your sights.